Home What Is? What is a Power Supply Unit? No matter how much you price that new graphics card you just got, or how happy you are with your super-fast CPU, there is no denying that the most important part of your computer is the PSU. What’s a PSU you ask? That would be ‘Power Supply Unit’. It’s not glamorous, it’s not exciting and it doesn’t make for amazing gaming. But without a power supply, your PC isn’t going to turn on. So yeah, you kind of need it! And as with most steps in building a PC, choosing your PSU is also probably a lot more complicated and involved than you expect! That is to say, that you can’t just run out and buy any old ‘plug’ in order to get your computer running. 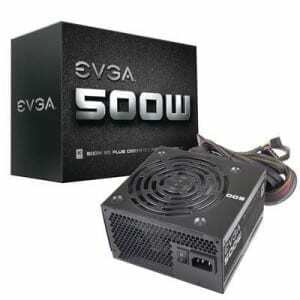 What’s important is that you buy the best PSU for your machine and that you understand how it works and why it matters. If you get this wrong, you can potentially blow up your computer. So pay attention! The job of the PSU more specifically is to take the 110-120V that you give it running at 60Hz and then convert that to an AC signal at the right frequency for your PC. Thanks to Nicolai Tesla, the power coming from your socket is AC (alternating current) and can’t be easily converted to 60Hz. Easier is to convert the AC to DC and then change it. So you’ll see reference to supply rails, which represents separate voltages going in to your computer. Most PCs will use +3.3, +5 and +12V for powering the motherboard and the components. The +12V delivery is most important for your performance and will power the most power-hungry parts of your computer. +3.3V and 5V meanwhile will power smaller components and expansion cards. It’s all a little confusing because it’s really like having multiple power supplies packed into one brick. Your job is now to decide exactly how much power you’re going to need to supply your machine with and each of the parts. You can use an online power supply calculator to work this out but you won’t find any that list every component under the sun. Still though, you should be able to find listings and one way or another you need to do the math and you should have a wattage at the end of it. As a general rule though, most machines aren’t going to need more than 800W. It’s better to have a little too much than too little but if you go too high your system will be less efficient and you’ll be wasting money. Go a little higher to avoid unexpected shut downs etc. and that will suffice. It’s important though as well to look at how efficient the PSU is in delivering the power to the system. It might be that even if your PSU offers enough power, it can’t deliver that current to the necessary components as they need it. This can then cause stability problems or even interfere with boot-up. You also need to think about things like the power usage during idling and other factors. All in all? You get what you pay for. Look for a ‘continuous’ rating for the wattage, rather than a ‘peak’ rating – which is about as unreliable as it sounds. There’s an awful lot of different factors to consider here and it can all get a little complicated. As a rule though, if you know the watts and you are willing to consider this an important investment then you shouldn’t be disappointed.